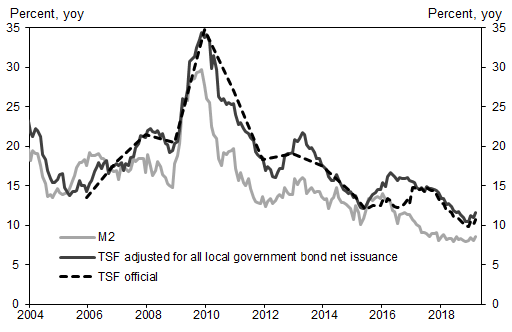 According to the PBOC, adjusted TSF growth (after adding local government special bond issuance) was 10.7% yoy in March, vs 10.1% yoy in February. If one adds all local government bond net issuance to TSF flow data (excluding special bond issuance to avoid double counting), Goldman estimates that adjusted TSF stock growth at 11.6% yoy in March, higher than 11.0% in February. The implied month-on-month growth of adjusted TSF was 11.6% SA ann, higher than 11.3% in February. 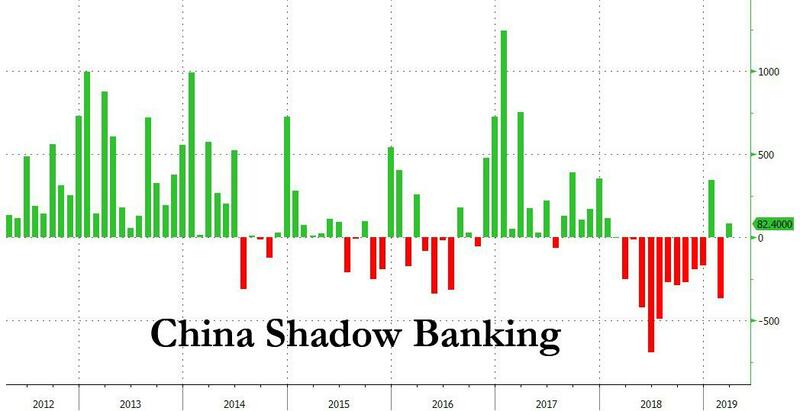 Also worth noting: unlike most of 2018, when China shadow banking creation was negative every month startin in March through December, March shadow banking once again printed in the green, following January’s surprising jump (and following February’s drop), suggesting that China has once again eased the reins on its local shadow banking creation in order to spark both the credit impulse and pad China’s economic rebound. Looking at some other monetary aggregates, in March M2 rose +8.6% y/y; also stronger than the est. 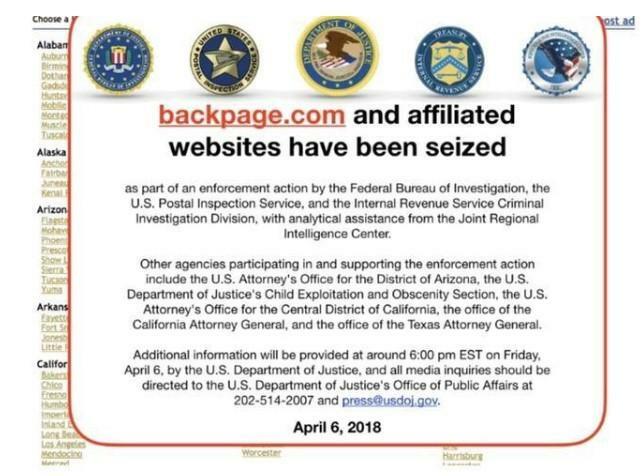 +8.2%, and well above the February +8%. In other words, it once again appears that China is doing everything in its power to flood the economy with new credit and reversing the concerns we noted last month emerging from the sharp February TSF drop. It also explains why futures surged above 2,900 once the number hit. 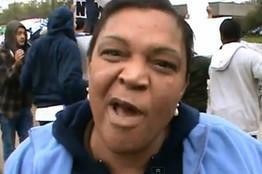 So what is going on? Is Beijing trying to stuff excess credit into the system, which is then appearing in “unexpected” places like the Shanghai Composite and Vancouver real estate, or is there actual demand? According to Goldman, “demand for credit might be improving as well on the back of better domestic sentiment, in turn driven by policy changes such as trade negotiations and support for private companies.” Also, the bank adds that as inflationary expectations are rising, perceived real interest rates might be falling. Finally, the recent profit-boosting VAT cut may be one factor that conceivably increases credit demand. 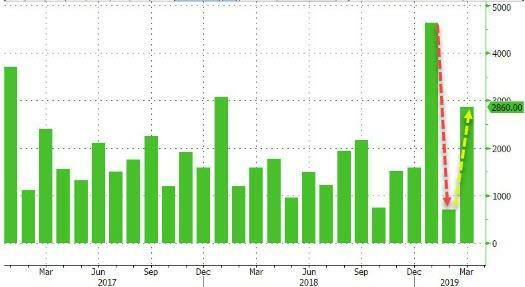 The last question: will this credit surge persists, and has China now fully thrown in the towel on even pretending to deleverage its $40 trillion economy? The jury is still out: as Goldman’s Yu Song writes, given the recent data on PMI, export, TSF and inflation data and likely strength in upcoming hard data, especially GDP and IP, “we believe it is likely that the policy stance will turn slightly less supportive.” In short: don’t extrapolate the current surge in TSF into the future; additionally, Goldman also sees no current urgency to cut RRR or interest rates further. Of course, whether market interest rates go up – and as we noted earlier this week, Chinese 10Y yields have soared the most in years in the past month – will depend on inflation, activity growth and equity market performance, and it could be a real possibility if growth surprises to the upside. 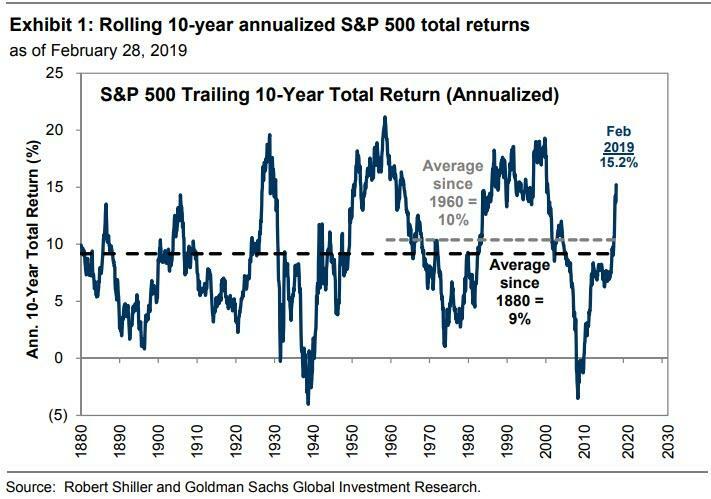 On the flip side, Goldman also believes “it is unlikely that policy will be tightened aggressively.” This is because, while the economy and market improved in recent months, policy-makers understand this recovery is still highly policy-dependent, and tightening could lead to a double dip in the economy and equity market. 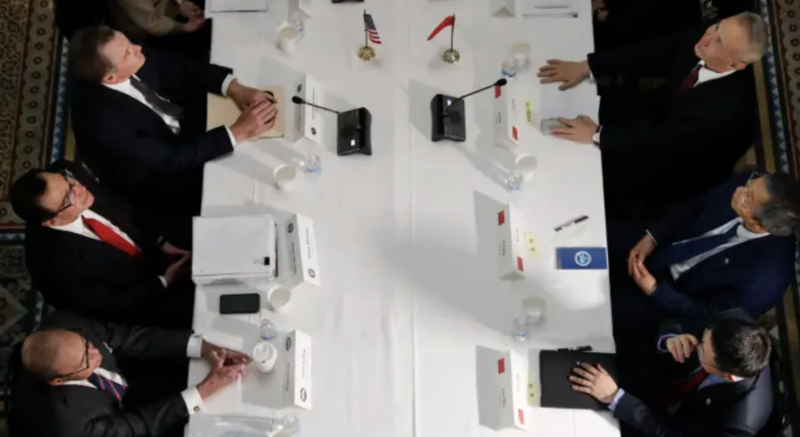 That, to Xi, is not acceptable, and such a double dip is out of the question given the 70th anniversary of the founding of the PRC is due on October 1, 2019. Because of this “policy put”, upside risks (relative to the baseline consensus view of steadily strengthening growth throughout the year) may be greater in the first half of the year, with less policy support thereafter. 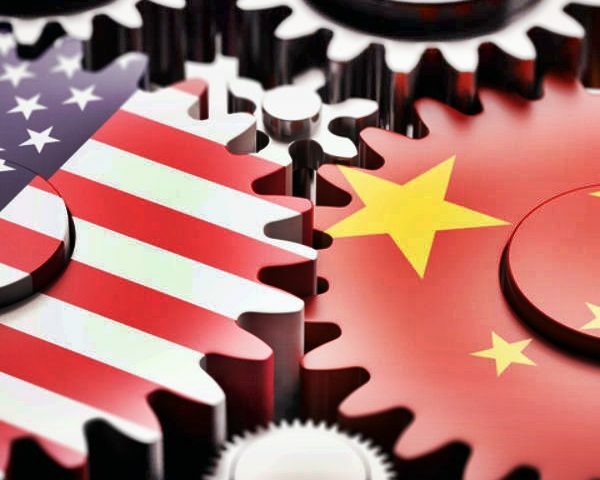 In short, China’s credit-based easing will likely continue to accelerate until the summer, and which point Beijing will step off the gas, and while the residual credit momentum will carry China for the next few months, the next deleveraging-based slowdown will likely take place in the second half of 2019 and into 2020, roughly at the same time with what consensus now believe is when the next US recession will take place.